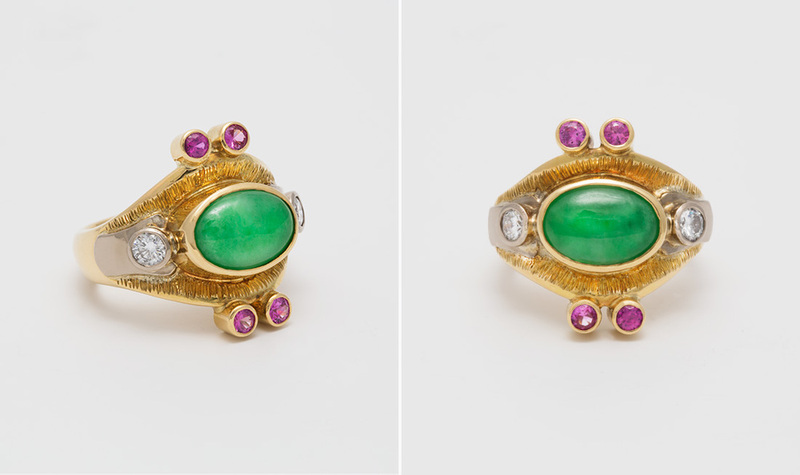 18ct yellow and white gold ring set with jade, diamond and pink tourmalines. 18ct yellow and white gold ring set with an emerald and diamonds. 18ct yellow gold set with a citrine and fan cut sapphires. 18ct yellow and white gold ring set with sapphires and diamonds. 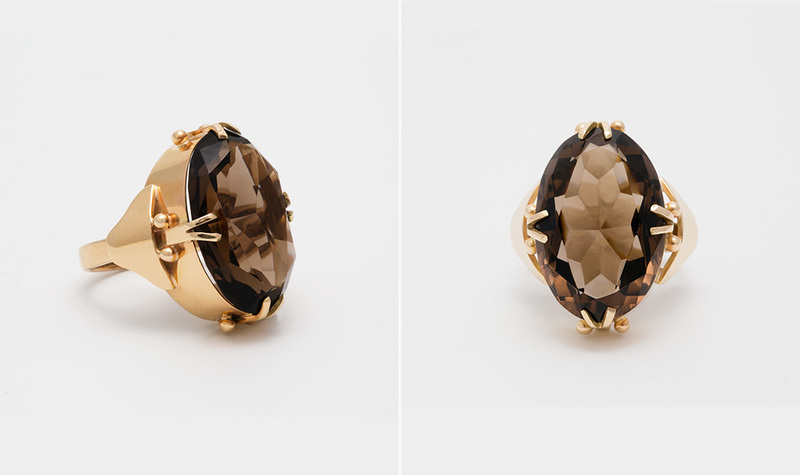 18ct yellow gold set with a sapphire and tourmaline cabochons. 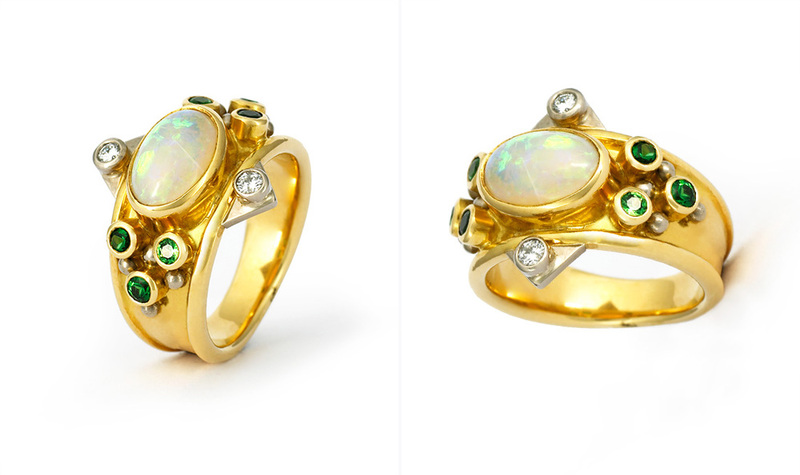 18ct yellow and white gold set with opal diamonds and green tourmalines.